To save the Southern Resident orcas and the salmon they rely on, we must create political and personal change. The choices we make in our daily lives - the products we use and buy, our actions, and what we do directly impacts the health of our environment, and ultimately the orcas and salmon. It may not seem like just one person can make a difference, but if you make changes and tell your friends and family about it, and then a few of them make changes and tell their friends and families about it, then before you know it, you've changed an entire community! All it takes is one person, one pebble in a pond to start making ripples. Change starts with all of us, in our homes (or offices, schools, community centers, churches, etc.) to make our watersheds and oceans a healthy, safe environment for the Southern Resident orcas and the salmon they need. *We will continue to add to and update this list as new actions are suggested. Have an idea? Let us know on Facebook! Reduce, Reuse, Recycle, Refuse - the ultimate guide to being eco-friendly. Reduce your use of single-use products, reuse what you can, and recycle what you can't reuse (make sure to check your local recycling guidelines). And if you don't need single-use items like to-go cups, plastic bags, or straws - just say no! Plastics in our watersheds are a significant source of debris and can bring additional contaminants into the water, impairing salmon survival and degrading habitat for orcas and salmon. Conserve - use less water and electricity in your home. This leaves more water in the environment for salmon and their food, and using less electricity reduces the demand (which, in the Pacific Northwest, probably comes from hydropower). This action can range from just making the effort to switch to LED lights, shut off lights and turn off faucets when not in use to investing in technology to reduce energy consumption in your home. Don't Drip and Drive - leaks from vehicles are a huge source of pollutants to our waterways. Leaks from engines, oil, anti-freeze, or transmission fluid end up on roads, parking lots, and driveways. Rain then washes them into creeks and streams, and the toxic mix can kill salmon or harm spawning. Fix that leak! Smart car care - make sure your tires are properly inflated, and don't wash your car in your driveway. Lots of chemicals come from your car itself or can collect on your car from driving. Making sure your car is running efficiently to reduce emissions and wash it at a facility that treats and recycles the water (pretty much any local car wash) to ensure contaminants don't go down a storm drain. Practice natural lawn care - just like with household cleaners, pesticides and fertilizers used in your lawn and garden are not removed in wastewater treatment, and will end up in your local watershed. These chemicals can cause significant harm to river environments, both juvenile and adult salmon, and the tiny creatures that salmon rely on for food. Less salmon food means less salmon, and less orcas. Build a raingarden - Orcas love Raingardens! Take natural lawn care a step further and build a raingarden to help filter out additional contaminants and create a safe and healthy watershed for forage fish, small critters that salmon eat, and juvenile and adult salmon. Buy local and organic - support your local farmer's markets and producers. Buying local means less resources are used to transport products to stores, and choosing organic products reduces use of those pesky pesticides and fertilizers. Plus, knowing where your products are coming from gives you the chance to follow-up with the store and seller and see if they are salmon-safe and ocean-friendly! Choose wild, sustainable seafood - or better yet, buy local seafood as well. Get to know what's abundant, in-season, and readily available, and support small businesses while you're at it. Always avoid farmed Atlantic salmon - salmon farms can significantly harm wild salmon runs! Be Whale Wise - If you're out on the water with whales, keep it quiet by staying slow, giving the whales their space, and following all guidelines and regulations (kayaks and non-motorized vessels, too!) to reduce your impact on the whales. Watching from shore is a great alternative. Volunteer - find a local habitat restoration event, at your local river or waterway, a park, or public land. Restoring habitat leads to healthier and safer watersheds for us all. (In the Seattle area? OSA member groups have awesome volunteer opportunities - find more information here). Clean it up - be that person who picks up trash on the sidewalk! Again, you might not feel like it makes a difference at the time, but if three people see your selfless act, they might be inspired to do the same, and the idea spreads. Clean up after yourself, too - and any furry friends you're looking after. Pet waste is huge, often overlooked source of excess "fertilizer" and disease to the environment. Tell the story - change only comes when we know what we're changing for. Tell your friends, family, co-workers, and community members about the Southern Residents, and how your area is connected to them. 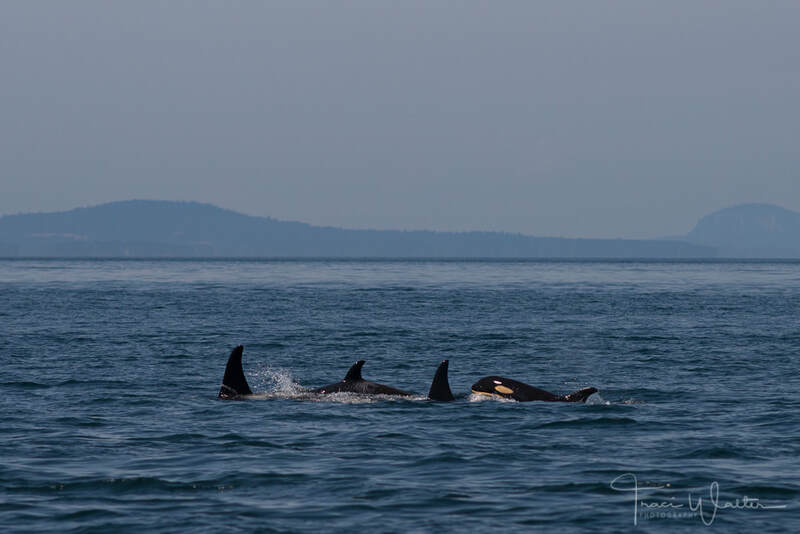 Share the orcas' story and inspire others to step up and contribute to a clean, healthy, safe ecosystem to support the survival of these amazing orcas, the incredible salmon, and our beautiful Pacific Northwest ecosystem. Maybe even submit a letter to the editor (LTE) in your local paper, sharing your opinion on an issue. Additional resources: For more ideas, check out the comprehensive list put together by the Center for Whale Research, or these great suggestions from OSA member the Seattle Aquarium.